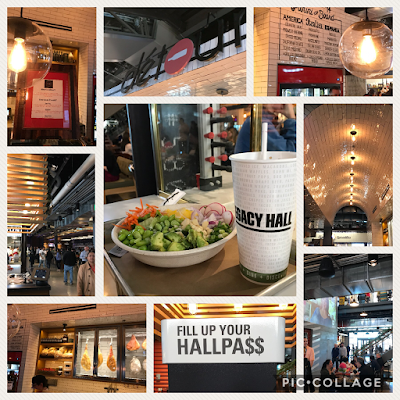 So, if you are loyal facebook THE PRZADA TEAM fans and follow us on both North Texas Lifestyle and THE PRZADA TEAM fan page, you might have seen me post that I was “doing research,” AKA eating EVERYthing at Legacy Food Hall in preparation for a blog post! Well, here it is! Currently, my number of trips to this oh-so-fun establishment stands at 3! Come spring break, I think it is safe to say that my visit count may increase! There is literally something for EVERYone! 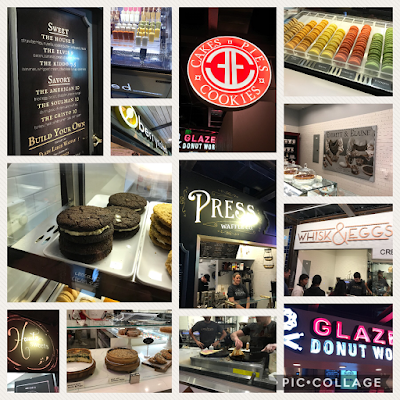 From pizza to banh mi, donuts to macaroons, to Peruvian Rotisserie Chicken, to Soul Food, charcuterie to lob’sta rolls to poke bowls, THIS place is sure to please. My son even loves it! There is really such a wide variety here. So much more than even mentioned! They bill themselves as “Chef Inspired. Foodie Favored. Drink + Dine + Discover” It is certainly a fun and flavorful adventure! There are three levels. The first floor has the widest variety of cuisine. The second floor is home to a few more, along with a brewery and outdoor eating space. On floor number three, sits a full scale bar. They do not take cash, well, sort of. In accordance with health code, the servers do not handle dollars and change. Only cards…credit and debit, as well as a reverse ATM set up. If you have cash, you can find the kiosk entitled “Fill Up Your HallPa$$,” and feed it your cash. This machine will spit out a hall pass with the same amount you preloaded. That way, you can present this hall pass/Legacy Food Hall debit card as your form of payment. If you want to avoid crowds, this urban-mama suggests going at off-dining times, such as prior to 11 am and after 2pm. Next I Am Going to Remodel My _____________.